Support the Horse | Colorado Horse Council, Inc.
May 14, 2008 was a great day for equus Coloradus—the horses in Colorado—when Governor Bill Ritter signed Senate Bill 178 into a law creating a special license plate honoring the contributions the horse industry makes to the culture and economy of Colorado. The bill was sponsored by Senator Jim Isgar and Representative Marsha Looper, both strong proponents of the state’s agricultural interests. Scroll down to the FAQ’s to learn more about how you can sport the “Support the Horse” License Plates on your vehicles. How do I purchase the “Support the Horse” License Plates? Purchase a certificate directly from CHDA authorizing you to purchase the plates. 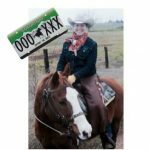 Turn the certificate to your County Clerk, pay the state’s special-plate fee plus your regular registration, and receive your new “Support the Horse” plates. When will the plates be available for purchase? The certificates are available for purchase now. Year 2 and Beyond Costs = Normal vehicle registration taxes and fees. Call 303-292-4981 to order by phone. Unfortunately, no. The certificates are printed on specialized paper and are signed and dated; therefore, they have to be mailed. Our turn around time, though, is no more than 2 weeks, and usually it is within a few days, so you should receive your certificate rather quickly. Yes. 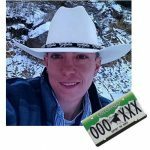 If you already have personalized plates and want to transfer them to a “Support the Horse” license plate you will need to go to www.colorado.gov and fill out a Personalized Plate Conversion form. There will be an additional fee of $60.00 to obtain personalized plates. Please be aware that when you choose personalized plates the logo of the horse in the middle of the plate will go away, and you will have a solid green license plate with “Support the Horse” written across the bottom of the plate. Go ahead and renew your current license plates, as well as purchase your “Support the Horse” certificate. Once you receive your “Support the Horse” certificate you can take it to the DMV and transfer your registration to the “Support the Horse” plates. Please contact your County Motor Vehicle Office for details and information of fees. Unfortunately, no, the DMV cannot issue the certificate or accept the donation to CHDA. Once we receive payment it shouldn’t take longer than two weeks for your certificate to arrive in the mail. Usually, shipment is made within a few days. No, unfortunately these plates are only available to Colorado residents. The DMV cannot issue a license plate to an out of state vehicle. The money collected by the Colorado Horse Development Authority funds statewide research, education and advertising that enhances the horse industry in Colorado. If any question has not been answered here, please contact us using the form below or call us at (303) 292-4981. Kay Rudisill, DM, MBA, PMP moved to Europe when she was young, where she spent 20+ years learning foreign languages and cultures. After moving to Colorado, she studied Organizational Leadership and now leads an exciting global learning team that provides operational excellence to Oracle’s Organization and Talent Development group. Passionate about learning and development, Kay teaches business and project management courses to graduate and undergraduate students at Colorado Technical University and Argosy University. With encouragement from fellow students, Kay presented and facilitated workshops at the International Leadership Association and at numerous Academy of Management sessions. In her free time, Kay loves to ride her horses, ski, cook, and practice/teach Aikido. 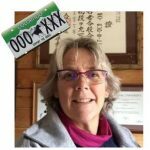 Enthusiastic about combining her passions, Kay tries to find ways of developing awareness through her experiential research of Aikido and working with horses. Making a "Difference in the Lives of Horses"
I moved from Oregon to Colorado in 2013 to pursue a second bachelor’s degree in equine sciences and journalism at Colorado State University. I love horses, science, and writing and I plan to make a difference in the lives of horses by helping owners understand the technical aspects of equine disease, genetics, and reproduction. It’s my pleasure to show my support for CHDA, horses, and the equine industry with my “Support the Horse” license plate. I am native to Colorado. Spent my younger childhood on the Western Slope enjoying our family ranch and the country lifestyle, eventually moving to the San Luis Valley and working on a ranch my high school basketball coach owned. This is where I belong and it’s time to get back to those roots through volunteering and purchasing some ranch property in the next few years. I am happy to support the horse industry and proud to display the plates on my new truck.